Big 'Un: Beauty Outside. Beast Inside. 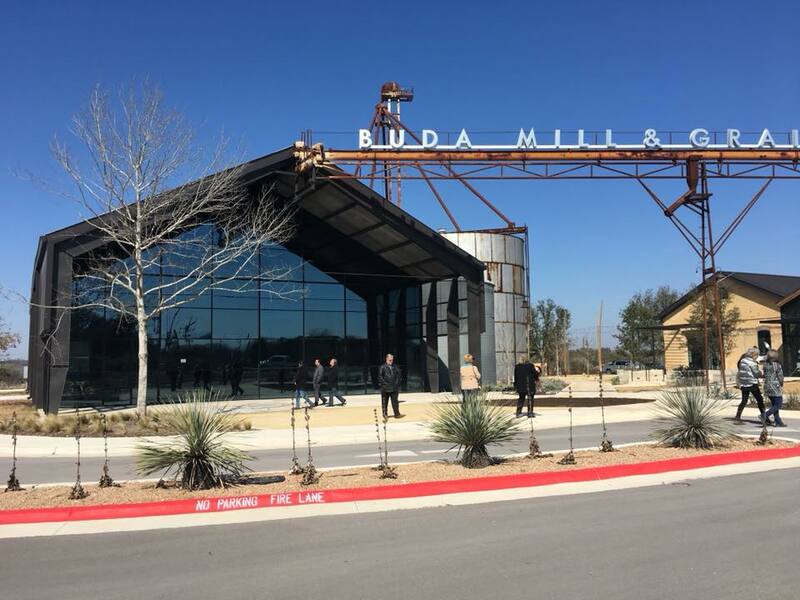 — Buda Mill & Grain Co.
Big 'Un: Beauty Outside. Beast Inside. I think the hardest building to tackle was the largest barn on the property that we refer to as Big 'Un, named after one of the men who worked at the Mill a long time ago. We've been told it stored big equipment for years and that it may have been built in the 50's. We just don't know. Here's a view of Big 'Un from the parking lot during construction. But what we do know is that it's a beast of a building where even heavy equipment feels dwarfed. We wanted to keep the original steel structure. But we went through multiple renditions over the years until we saw a building in California that was the same shape as our building but a contemporary version that spoke to us. So, we pulled off all the galvanized tin, cut out the front steel supports and installed an entire East facing wall of steel windows to bring a new life to this great old workhorse of a building.